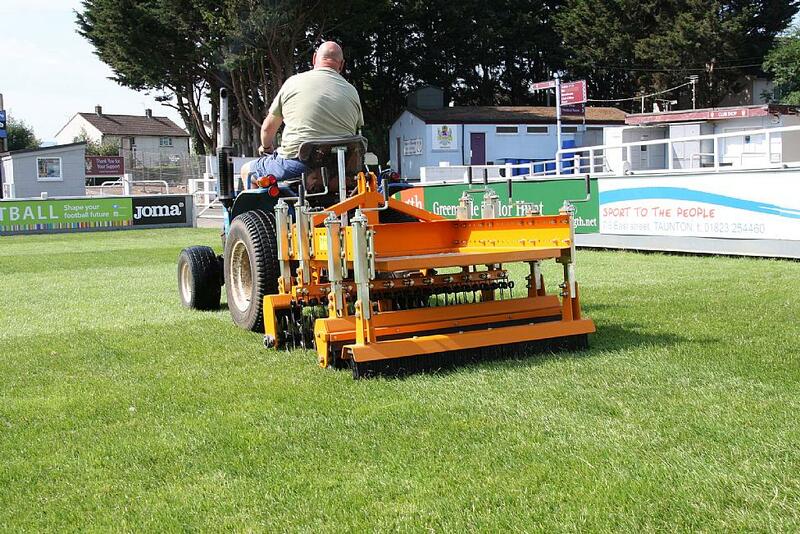 Quadraplay perfect for multi-tasking groundsman Kevin Sturney at Taunton Town FC. As a former Taunton Town Reserves player and previous club sponsor – Kevin Sturmey is Taunton Town through and through. When Kevin was appointed chief executive in late 2010, after being elected Chairman at the AGM in July 2010, he was determined to get his beloved club back on track and was willing do everything he could to help The Peacock’s rise through the English football leagues. What started as a part-time CEO role soon became a full-time commitment and with the club experiencing financial difficulties for a number of years, Kevin took it upon himself to voluntarily become the head groundsman. Seven years later, and while Kevin is paid for 27 hours a week in his role as chief executive, he is still undertaking all three positions with a working week consisting of over 80 hours. 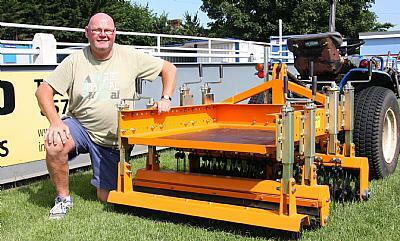 Also renowned for being a multi-tasker is Kevin’s new SISIS Quadraplay, which was recommended to him by two Premier League groundsmen. 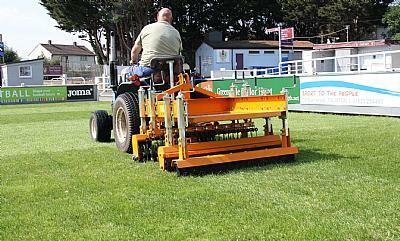 Having been nominated for four successive Groundsman of the Year awards, winning the National Step 3 & 4 award in 2014 and runner-up in 2015, and twice being awarded the Southern League Groundsman of the Year, Kevin has had ample opportunity to rub shoulders with, and seek advice, from many of the country’s top groundsmen. 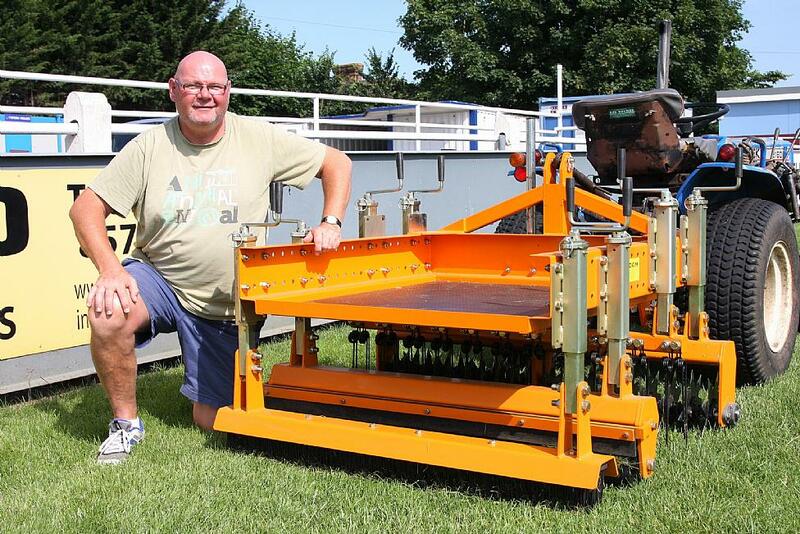 The SISIS Quadraplay multiple-purpose, single-pass maintenance incorporates a mounted frame for up to four implements such as grooming rakes, spikers, slitters, rollers and brushes. The implements can be fitted to the mainframe in any order and can be independently adjusted to achieve the desired effect. Compact, robust, versatile and with the ability to carry out up to four operations simultaneously – the Quadraplay makes life a lot easier for many groundsmen as Kevin explains. “If you have got a very small time window, being able to brush, role, slit, and rake - all in one pass, is a god send. It’s the best investment we have ever made. “The first time I had it on trial, someone actually said to me afterwards that it looked like I had cut it and that’s the beauty of it. In the winter you won’t need to cut when the grass is not really growing – however with the Quadraplay you are grooming it and also getting some air into it – so it is doing everything you need it to do all in one pass.